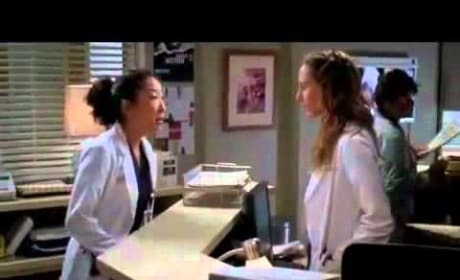 Another sneak preview of Grey's Anatomy's November 4 episode, "That's Me Trying." Cristina is scared. All the time. A sneak peek of "That's Me Trying." Cristina is faced with a do-or-die situation. But not right here. 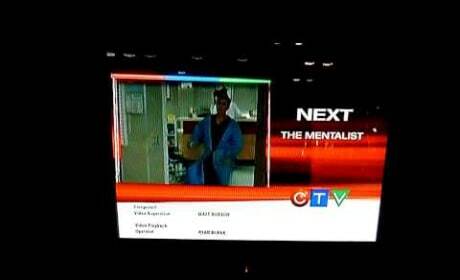 A Canadian promo of next week's Grey's Anatomy. 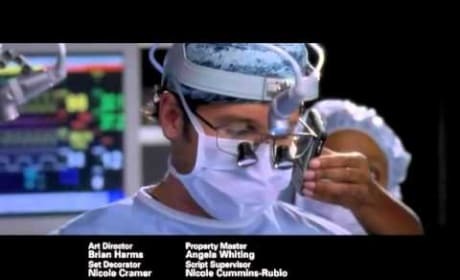 Life at Seattle Grace is anything but typical. 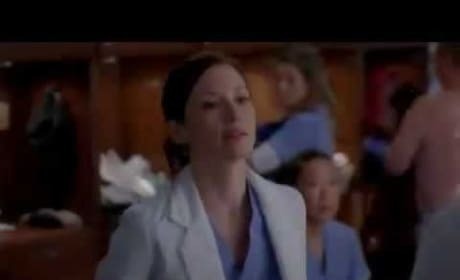 In this new sneak preview of Grey's Anatomy's documentary style episode, Mandy Moore returns as Mary. She's finally back to have the surgery. 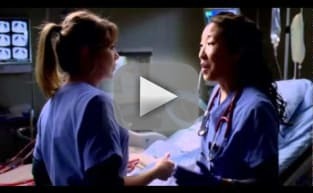 Another sneak peek at the documentary style episode of Grey's Anatomy. Arizona wins a big award! 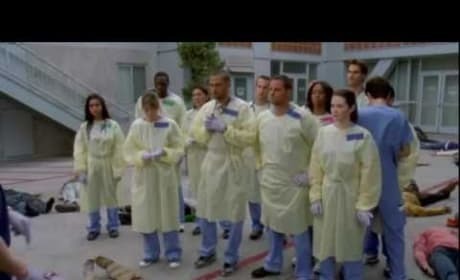 Another sneak preview of the documentary-style episode of Grey's Anatomy. 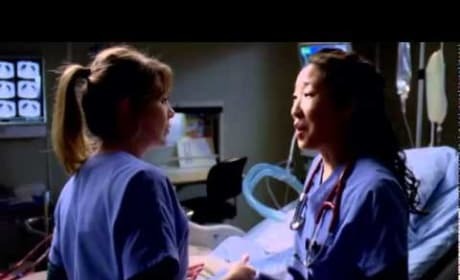 Mer and Cristina speak with the crew. An alternate version of the promo for "These Arms of Mine." Good stuff. Becoming attendings. "Almost Grown" sees the interns we grew to love get promoted! 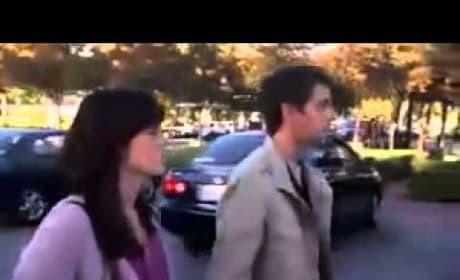 April and Teddy in a scene from "Almost Grown." 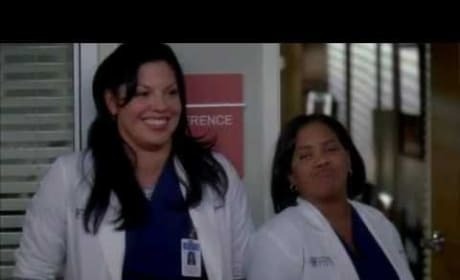 Teddy has it out with Cristina as well. 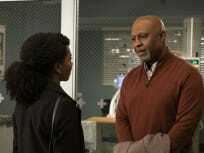 Another clip from "Almost Grown," the October 21 episode of Grey's Anatomy. It's the fifth episode of the new season. 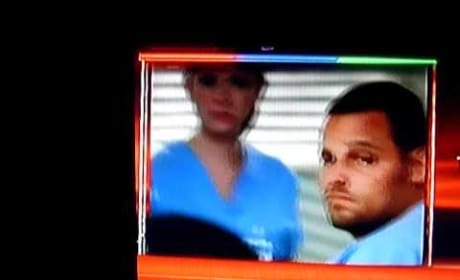 A CTV promo for "Almost Grown," the October 21 episode of Grey's Anatomy. 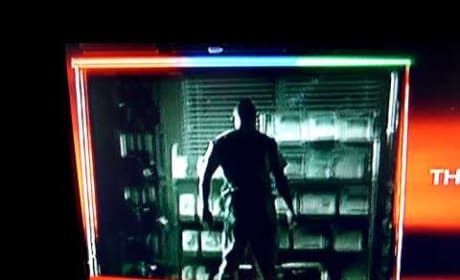 Check out the newest promo for it here. 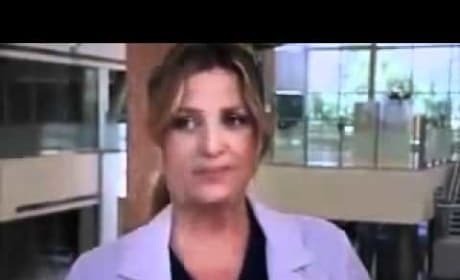 A promo for "Almost Grown," the October 21 episode of Grey's Anatomy. Looks like an intense one, to say the least.